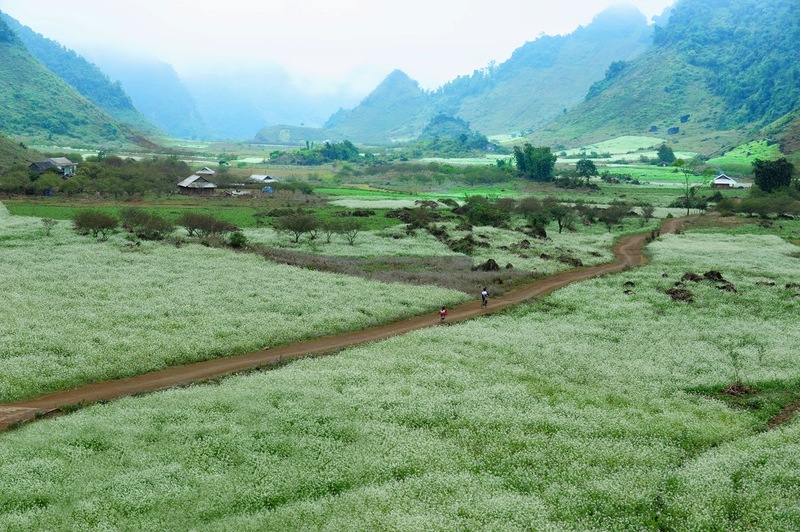 In the middle of Moc Chau plateau is a microclimate where summer has 200C average temperature and winter is drier than in other regions. 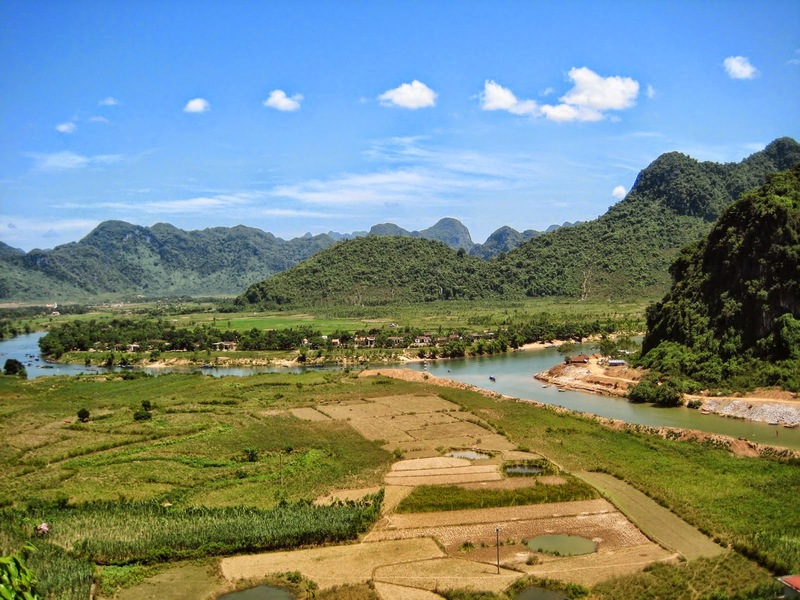 In addition to, Moc Chau also owns many historical sites, Son Moc Huong Cavern, pine forests, Chien Vien pagoda, Dai Yem waterfall, Phieng Luong peak, and the culture of Mong people and Dao people in Van Ho. Besides, the plateau is famous for pan-pipe dancing performance, traditional dishes, specialties, and handicraft products bearing old cultural identity. 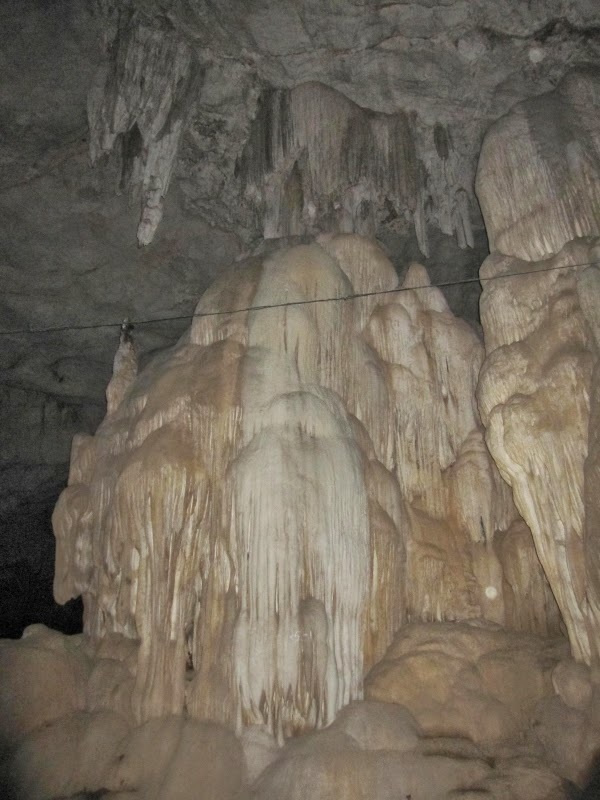 Son Moc Huong aka Moc Chau bat cavern has become familiar to many tourists visiting Moc Chau, Son La. This cavern is located 150 meters from National Highway 6, on the right of a mountain lying 300 meters from Moc Chau town. It is in the middle of the valley including seven small mountains which look like jewels. From the mouth of the cavern, you can observe Moc Chau town. Inside the cavern is endosperm system, which makes you feel lost in the magical world. Having taken 2 km of district roads, visitors can go to an old pine hills with picturesque views. It is very close to the town and convenient to transportation. Therefore, it is a very suitable place for camping or picnic. In the future, building a golf course will be a wonderful idea. From the junction of Pa Hang border, you should go by car and follow the main road, or along streams about 4 km to the confluence of two streams that is a majestic waterfall. According to the legend, this waterfall is a brassiere of a girl who saved a boy from the flood. 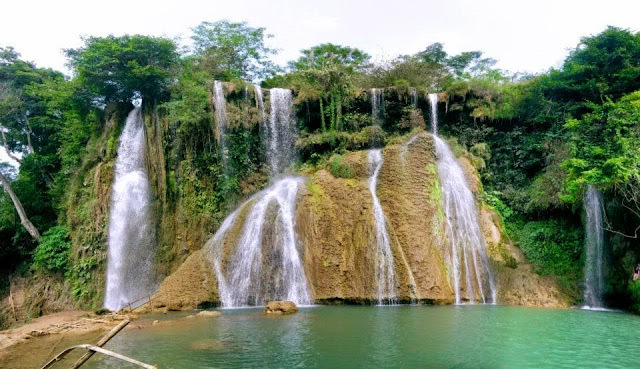 Although the position of Dai Yem waterfall is lower than the road, two waterfalls have the height of 100 meters, one side is divided into 9 floors and one side is divided into 5 floors. The two waterfalls are separated about 200 meters, but there is a flat ground between two waterfalls and that is very convenient for gathering visitors. 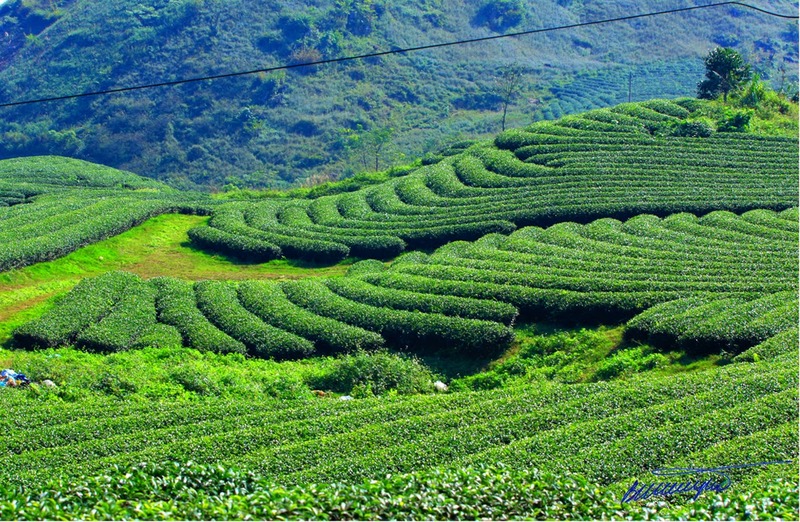 In Moc Chau, a tea factory is famous for manufacturing for export and meeting domestic demand. Moc Chau Farm was established in 1958 including thousands of milk cows. It is a place to supply the largest milk amount in the country and is one of the largest tea growing centers in Vietnam. Tourists who come here will enjoy vast grass plains with white plum gardens. With the height of 1,500 meters, Phieng Luong Peak is located 15 km east of Moc Chau that has Luang Phieng peak. On the top of Phieng Luong, there is a large area of flat land nearly with the total are of 10 hectares. It is suitable for sports such as horse riding, walking or climbing. Move from Moc Chau to the Port of Van Yen River, visitors go by ships and enjoy beautiful sightseeing from Da River to Son La town. Moc Chau also has Pa Hang border adjoin Hua Phan ( Lao PDR ). The road Moc Chau – Pa Hang was expanded and upgraded into the highway. It is a favorable condition for tourists visiting Long Sap, Xuan Nha and linking to Sam Nua Town. Long Luong, Van Ho – Moc Chau is a home to Mong people. The traffic in there is convenient, allowing some villagers to develop cultural, hold festivals and cultural activities of Mong people. Besides, ​​Ang Thai mountain village features Thai culture. It is a place where there is a palace of sports apparel horse and you can go to two forests and Chieng Sai, where Thai people in Moc Chau and Lao people have the same language. Xuan Nha- Sop Cop Nature Reserve is located 40 km south of Moc Chau. It is a place that there are many primary forests and many rare animals such as tigers, bears. This place has favorable conditions for ecotourism development. Moc Chau Plateau is situated at an altitude of 1050 m above sea level, approximately 200 km northwest of Hanoi along Highway 6. 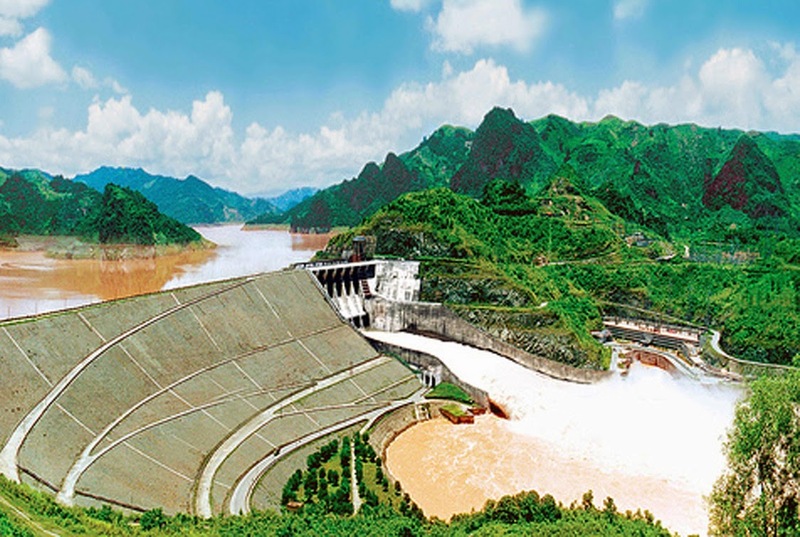 Route: Hanoi – Lang – Hoa Lac – Xuan Mai – QL6 – Hoa Binh – Mai Chau – Moc Chau.